Add CANNA Classic Vega to the nutrient reservoir with the dilution ratio 1 : 250 (400 ml A and 400 ml B per 100 L of water). 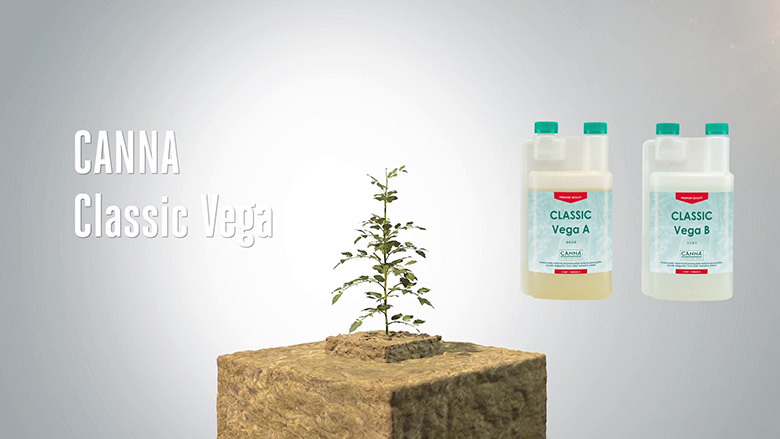 Add Classic Vega A to the nutrient reservoir. Stir well, then add Classic Vega B. Again, stir well and let mixture stand for some hours.